Is the Festival Scene Becoming Over Saturated? Remember when going to a festival used to be something to boast about? When you used to have to travel out of your way to get to the destination of choice and that added to the experience in a good or a bad way? Today, you just have to wait for the next festival to, literally, pop-up in your backyard. When do we make the realization that there are too many music festivals and it just is not as unique anymore? Now, everyone including your mother will be going to a musical festival this year. Believe me, most people’s mothers wouldn’t make this scene as fun but it could add to that uniqueness. I am not complaining about this recent trend as I will be attending the inaugural Summer Set Music and Camping Festival in late August. I will just say I am evoking my right to voice my opinion on this matter. My sympathy goes out to some of the veterans of the festival scene that have either lost some of their luster or have been hindered by the amount of festivals diluting the overall market. When is too much of a good thing, just that, too much? Obviously, we haven’t hit that tipping point on the scales yet. Coachella sold out in record time this year and not only for 1 weekend but for 2 weekends. Lollapalooza had no issues selling out this year either. Recently, a newer festival wasn’t as fortunate in Somerset, WI. 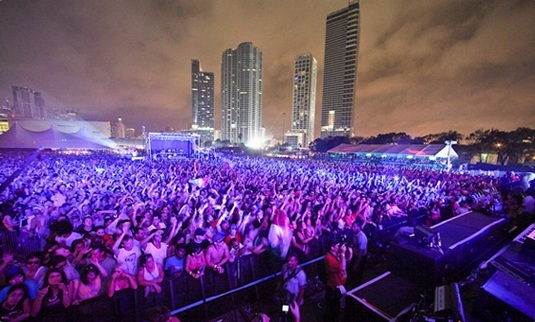 Sound Town Music Festival was canceled for 2012 for lack of ticket sales. With all of the different festivals, how do you decide which one to go to? Hopefully, you choose the right one and have a great experience so it doesn’t ruin your outlook on this scene. If I am going to try to speak negatively about the amount of festivals, I better change my tune and talk about the positives of having the amount increase. The number 1 upside, in my mind, is that with the age of the internet there is so much more music out there to be heard. This makes it a great avenue to get these musicians music to fans in a live setting. Also, it makes it easy for all of these festivals to fill their bills with formidable artists. Another positive is that with so many to choose from you do not have to travel very far if you do not want to. All of these additional festivals are going to force some of the originals to improve the set up, to get more appealing lineups, and to come up with fresh concepts. Just this week Coachella announced it would join the new trend of doing a cruise festival. The S.S. Coachella, described as a music festival at sea, will hit the open water in December of this year. The final benefit I look at is that you can fit a festival into your personal budget rather than having to over extend yourself in order to go to a music festival. Remember folks, festivals are about the times had and the people you meet not about the amount of drugs you do or do not do. This entry was posted on Thursday, July 19, 2012 at 11:32 am and is filed under Music News, News with tags coachella, Festival Scene, lollapalooza, Music Festivals, S.S. Coachella, Somerset WI, Sound Town Music Festival, Summer Set Music and Camping Festival. You can follow any responses to this entry through the RSS 2.0 feed. You can leave a response, or trackback from your own site.